Prairie NATURALS Wild Rose Moisture Balancing Shampoo is a rich formula that helps restore moisture in all hair types. Wild Rose leaves hair healthy, manageable and free of tangles. Continued use will increase the elasticity and strength of each hair, without depleting moisture. 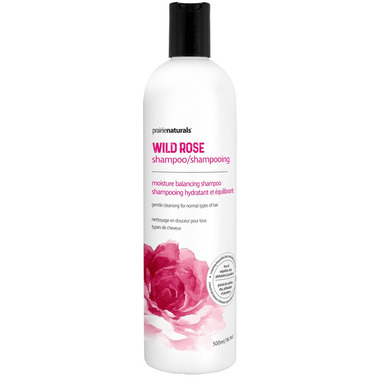 Wild Rose Moisture Balancing Shampoo nourishes all hair types while increasing volume and shine. Great smell, makes hair feel light and clean.